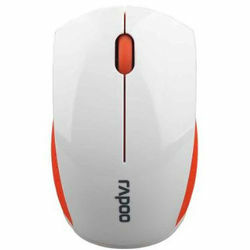 RAPOO 2.4G wireless transmission technology brings you 10-meter working range stable wireless connection without any interference. Exquisite and mini design makes it a favorable space-saving accompany when you are on a vocation. RAPOO 2.4G wireless transmission technology brings you 10-meter working range stable wireless connection without any interference. Exquisite and mini design makes it a favorable space-saving accompany when you are on a vocation.